He's a proud father of two. 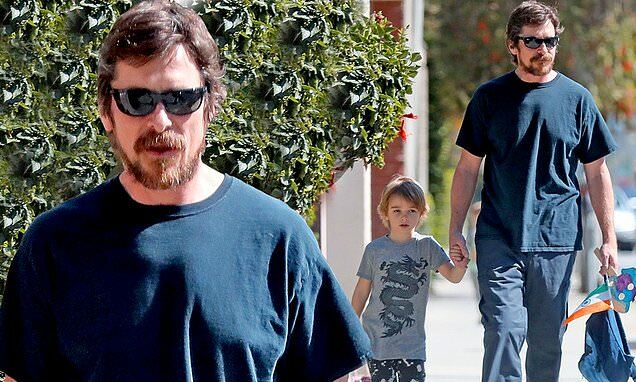 And Christian Bale enjoyed some quality father-son time with his four-year-old youngster Joseph on Thursday. The actor, 45, held Joseph's hand while strolling through sunny Santa Monica. Christian looked every inch the doting dad as he carried his son's belongings, including a painted mask and flag. The bearded star looked focused as he led the way for his youngster down the sidewalk wearing a pair of cool sunglasses. Christian kept it casual for the occasion, rocking a black T-shirt, trousers, and a pair of blue sneakers.